Stubborn fat can become more bothersome and irritating the older we get. Trying to achieve a slender and attractive appearance is an important consideration for many people. However, many patients find themselves struggling with localized fat deposits that can be unflattering. Those who would like to rid themselves of their belly flab can look into plastic surgery to help them reach their aesthetic goals. Men and women alike will find liposuction an appealing treatment to sculpt a flat and toned abdomen, even when diet and exercise fail. The abdomen has two types of fat, superficial (or subcutaneous) fat and deep (or visceral) fat. Visceral fat is found inside the abdominal cavity around the internal organs and, unfortunately, cannot be removed through liposuction. Diet and exercise are the only cures for deep fat. Luckily, most people have more superficial fat than deep fat. Subcutaneous fat is located just below the skin and can be removed through liposuction. Whether you have always been in good shape or you have worked hard to achieve a slimmed-down figure, you may have areas of your body that stubbornly resist diet and exercise. This can be very frustrating, especially if you maintain a healthy lifestyle and still don’t look the way you want to. Fortunately, various liposuction methods can eliminate these deposits of fat effectively and permanently. Smartlipo™ is a cosmetic procedure that uses a laser fiber attached to a cannula. The laser breaks up the targeted fat cells, making them easier to remove. Patients who undergo laser liposuction generally achieve optimal results with very few signs that they have had surgery. The results of liposuction can be even more significant when combined with tummy tuck surgery or other body contouring procedures. While useful on its own, liposuction often provides an ideal finishing touch on a body that has been redefined through plastic surgery. After fat cells are removed, they will not regenerate. However, make sure to eat healthily and exercise, as any fat cells that remain are still able to expand, leading to a lumpy appearance. As long as you maintain a healthy weight, you will be able to maintain your results. Liposuction can benefit nearly everyone, but the best candidates are people near their ideal weight but who are saddled with pockets of excess fat. Patients who have dieted and exercised, but cannot achieve their desired results on their own are also good candidates. Remember, this procedure is not a weight-loss treatment, as only a certain amount of fat can be safely removed during liposuction. 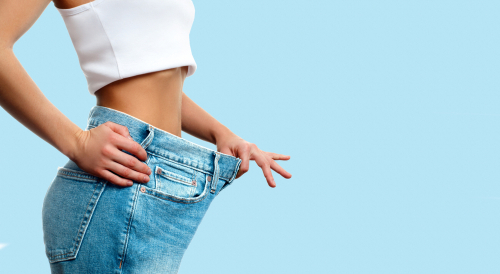 For this reason, you should lose as much weight as possible before you undergo your treatment. At that point, liposuction can remove any stubborn pockets of fat that remain while sculpting your contour for an attractive new silhouette. Patients interested in liposuction and wish to undergo this procedure can schedule a consultation with Dr. Henry by calling our office at (415) 997-0918.